Georgia Clinic of Chiropractic - Georgia Clinic of Chiropractic has a beautiful clinic in Augusta GA, and they treat a range of conditions, from back pain and migraines to asthma. Georgia Clinic of Chiropractic has a beautiful clinic in Augusta GA, and they treat a range of conditions, from back pain and migraines to asthma. Georgia Clinic of Chiropractic is a Christian-based practice that is proud to serve the Augusta, Martinez and Evans communities. 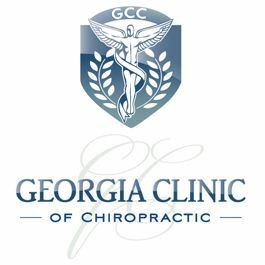 Georgia Clinic of Chiropractic was founded with the purpose of giving Augusta residents access to quality healthcare, based on individualized treatments with the best chiropractic treatments and technology available under one roof. They thoroughly research each case and administer the most effective treatment based on your own medical needs, personal preferences and health goals. At Georgia Clinic of Chiropractic, not only will you never be forced into a one-size-fits-all treatment style, they strive to offer you the highest chiropractic standards in the healthcare industry. They understand that each patient's needs are different, and they promise to give you the personal attention you deserve. Their testament to providing outstanding patient care can be seen in their patient success stories, ranging from headaches and neck pain, to back pain and fibromyalgia. You can personally read their patient success stories online at www.georgia-clinic.com. ★ They are currently accepting new patients and will work with all major insurance providers. You can call their friendly staff at (706) 814-5053 to schedule your appointment. They are conveniently located at Furys Ferry and Evans to Locks Rd, in Martinez, GA.